As much as a family can put down roots at a school in its 13th year, the Paugas have become part of the fabric at Liberty. The youngest member of this clan is nearing the end of a very full high school sports career. Luke Pauga has been part of some Lions team in 11 of 12 possible seasons. And he is usually in the lineup. Baseball is his favorite and best sport, and Pauga leads Liberty with a .450 batting average, three home runs and 17 RBI this spring — after driving in 27 runs for the Lions 2018 state 5A champions. 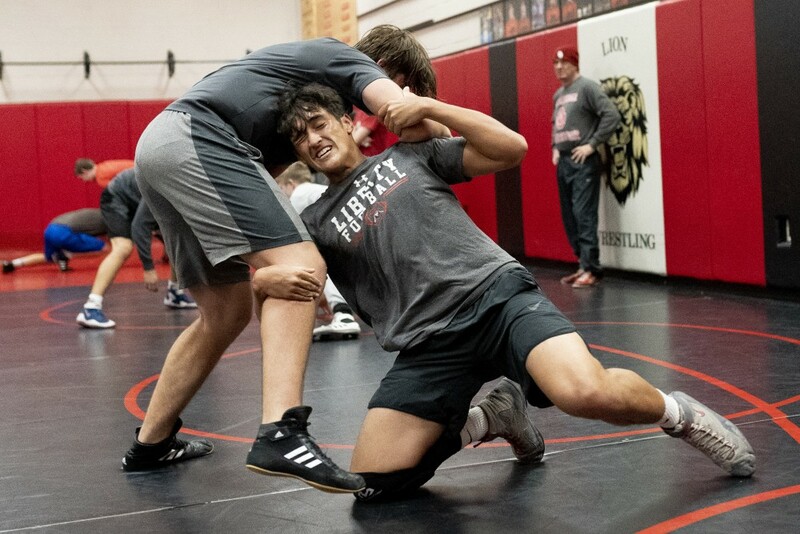 In four years, he evolved from a wrestling neophyte to a sixth-place finisher at 195 pounds and key cog in Liberty’s Division I state title team this winter. After skipping football his junior year, Pauga started as an undersized defensive end in 2018, picking up 28 tackles and 4½ sacks. “In all the sports I played, I’ve had the opportunity to be in big games and clutch situations. I think the experience I’ve gained from that allows me to stay cool under pressure,” Pauga said. Liberty baseball coach Chris Raymond was a baseball and football player during his career at St. Mary’s Catholic High School in Phoenix. That was more of the norm during his career in the late 1990s. In the last 10 to 15 years, the club sports scene has exploded, particularly in baseball, basketball, softball and volleyball. Arizona’s weather allows for almost year-round baseball and softball. 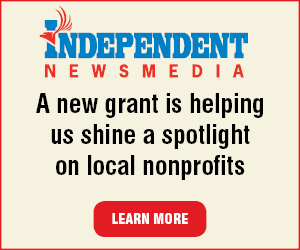 While a top-level baseball program like Liberty benefits from specialists, Raymond would rather his players give some other team a try in the fall and winter. Focusing on baseball rarely was a thought in a family that runs the athletic gamut. Older sister Noel was an all state volleyball player while leading Liberty to a state finals berth in 2011. Nathan Pauga played varsity baseball and football in 2014. Parents Finauga and Joilynn Pauga were willing and able to drive Luke around the Valley to games like they had his older siblings. “My parents were like the typical parents. They put me in every sport. I was playing soccer at one point and it was not a good choice. I started playing football in seventh grade but I didn’t stick to it. Once I got to high school I chose to experiment. Wrestling was something I picked up,” Pauga said. He said all his Liberty coaches have been supportive of playing other sports. Wrestling coach Eric Brenton stated in an email that Liberty coaches communicate with one another on a weekly basis on shared athletes, and that football coach Mark Smith and Brenton sit down each spring and go through each other’s offseason/summer schedules and figure out how to share athletes. Regardless of the coaches, Brenton stated this a system has been in place at Liberty for about 10 years. Brenton also stated that he thinks Pauga grew as a wrestler in part due to his experiences in baseball and football. 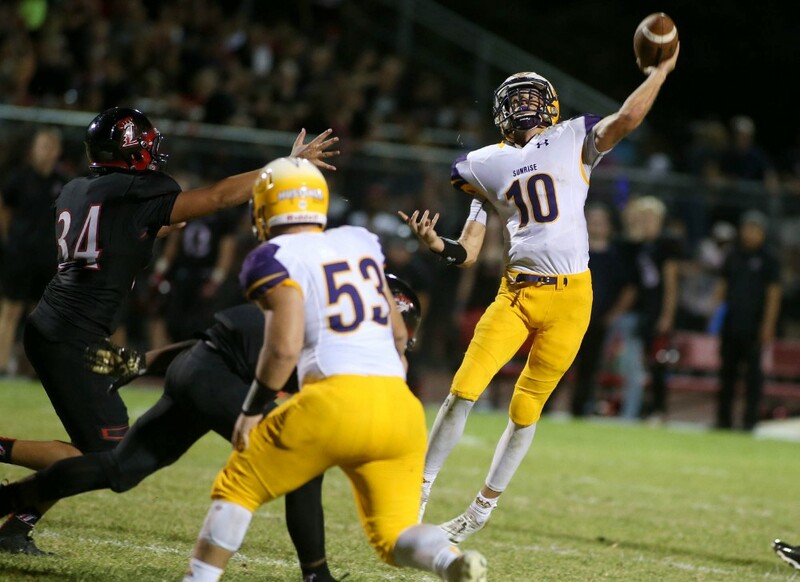 Two- and three-sport athletes are not an endangered species, particularly at mid-sized schools like Cactus, Deer Valley and Peoria and small school powerhouse Northwest Christian. But more students enrolled at a school usually leads to a greater push for specialization. In this decade Liberty’s boys programs have bucked this trend, with stars such as Nathan Bannister, Ryan Benedict, Braxten Croteau, Chase Hulbert, Jace Johnson, Paul Panaccione and Tyler Wyatt playing significant roles on two teams. Some sports combinations are natural. Football flows into wrestling for guys in the front seven, while skill position players often make the transition from track to spring and summer football camps. Big-armed pitchers/quarterbacks are a part of American folklore. Baseball stars who wrestle? They are not so common. Not only has did Pauga become a lineup fixture in both sports, he brought home a title ring from each. He said both teams were close knit and having a role with both was a blessing. However, winning the 2018 baseball title as an underdog and knocking off favored Gilbert Mesquite in the process was a bit sweeter than taking home the 2019 wrestling crown as the pre-state favorite. Also, baseball is his next-level sport. With that in mind, Raymond moved him to the outfield this year since it is probably Pauga’s best spot going forward. The coach said he is on every NCAA Division I coach on this side of the country touting Pauga as a player who can do a bit of everything. Unlike most unsigned senior baseball players, Pauga did not enter April with a sense of urgency. His family is active with the Church of Jesus Christ of Latter-day Saints and Luke will leave on a two-year mission a few months after he graduates. For a while at least, his life will be without practices, bus trips and team slogans. “I’ve never had a break. It’ll be weird,” Pauga said. That does not mean the Pauga family loses touch with Liberty. Raymond said Luke’s parents bring him joy — finding them always gracious and approaching high school sports without an ulterior motive. “There’s no words to express how much I appreciate my parents. They’re perfect role models to me. They love not just me playing. They love the program. They’ll come back and watch games while I’m on my mission. That’s very special,” Pauga said.